Laura Dale & Associates, P.C., is a Houston-based law firm focusing on family law from both local and global perspectives. Our attorneys handle complex family law cases, ranging from high-profile divorce cases to international child custody cases. Laura Dale has handled many cases that involved international child abduction and has been very successful at ensuring that the children involved were returned to their habitual residences. She has appealed and defended many cases under the Hague Convention on the Civil Aspects of International Child Abduction. With high profile cases that attract media attention, Laura Dale & Associates, P.C., is adept at minimizing media exposure and negative press. Conversely, when there is a need to raise public awareness about a case, Ms. Dale can leverage her understanding of the media to get the case into the spotlight. The law firm also has the skills and knowledge necessary for complex property division of high net worth estates. Since Texas is a community property state, Texans seeking divorce are better served by lawyers who are skilled at identifying assets that are separate property and proving that they should not be characterized as community property. 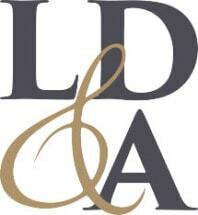 Accurate valuation of assets is crucial to complex property division; Laura Dale & Associates, P.C., is staffed by attorneys who are board-certified experts in family law. Costly divorce litigation can be avoided by the creation of a solid prenuptial or marital agreement. Whether our clients need to draft, enforce or challenge such an agreement, our attorneys have the depth of experience to make the case successful. Discussing key issues/legal questions involved in international divorce and custody matters. We will fight for the best interests of your child as your passionate advocates. Parties with high net worth and complex estates must take special care when it comes to the issue of the division of assets. The Hague Convention on the Civil Aspects of International Child Abduction is a treaty designed to secure the prompt return of children wrongfully removed to or retained in another country. A great deal of costly and contentious divorce litigation is avoided when couples entered into prenuptial agreements (before marrying) or marital agreements (after marrying).